I really shouldn't complain about cold weather. Right after writing the post about how cold it is in California, the temperatures here warmed up to the 50s and 60s, and in Oswego, it snowed and snowed. 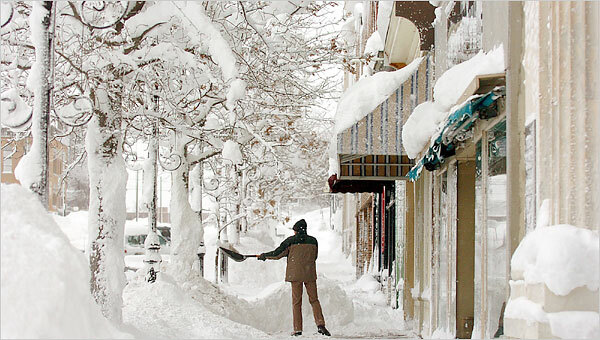 I guess it helps to post pictures like this one, taken in downtown Oswego, just to keep things in perspective. Snow is very pretty when it's falling, but not very pretty when you are shoveling it.